My 40 Under 40 interview was released in the Nashville Business Journal earlier this month. The content was exclusive so here’s a sneak peek of the feature. Enjoy! What’s the worst advice you’ve ever received, and what did you learn from it? Most recently, the worst advice I received was not to pursue a doctoral degree. Last spring, I enrolled in the University of Southern California’s Global Executive Doctor of Education program, and since, I believe its one the best decisions I’ve ever made. Initially, there were many people who highly endorsed the idea as a possible waste of time and money. With a master’s degree, a few businesses and a job as a professor, they felt the credentials I had were enough to carry me as far I wanted to go. I see some merit in that notion but I also saw this as a chance to deepen the connection between my entrepreneurial background and my role as an educator. I relish the opportunity to tackle intellectual problems and explore new areas of knowledge through global trends from around the world. Making this decision gave greater affirmation in knowing that not everyone will understand your vision. I have come to learn with this and past situations that the more you love your decisions, the less you will need others to love them. What is the greatest potential that comes from Nashville’s growth? I am both optimistic and concerned about the growth this city is experiencing. While we’ve seen amazing progress in significant areas, we’ve also seen issues like crime, gentrification, housing and transit become more prevalent as a result of our rising population. I believe that the greatest potential from this expansion is the opportunity to make Nashville an exemplar for diverse communities – a place where resources are allocated and room is made for residents of various socioeconomic levels to thrive. What fictional character do you most relate to or empathize with, and why? Not a fictional character but a biblical character, Lydia – a woman from the Bible whose story found in Acts 16 – is one with which I identify. Lydia was an intelligent entrepreneur who loved community and understood the value of relationships. She was humble, perceptive, assertive and generous. What is your least favorite assumption about millennials? I write in detail about millennials in my book, The Original Millennial: Lessons in Leadership, and address the many stereotypes and assumptions of my generation. I think there’s enough conversation about what millennials are and are not in contrast to other generations so I don’t speak to the stereotypes or assumption that could support common issues. I think those are rehearsed and, quite frankly, rather old. I believe the driving force behind the potential greatness within the millennial generation is our originality. Millennials always look for ways to make things greater, bigger, better, stronger and more practical. The best parts of millennials are found in the choice to change and evolve. The original qualities of past generations use commonly understood behavior patterns, which make them far easier to define, whereas millennials have the ability to defy category. We, and other generations, have to accept that and embrace it to overcome issues that could create barriers to leadership and collaboration. What is your favorite social media platform, and why? I love YouTube. I am a creative at heart so I love the storytelling aspect of videos as well as the ability to research, find information, and be informed and entertained. I also love Instagram and WhatsApp. The evidence is real. #BlackGirlMagic isn’t just a trending hashtag or catchphrase, it’s a real-time, quantifiable illustration of how the consumer preferences and brand affinities of African-American women are resonating across the U.S. According to African-American Women: Our Science, Her Magic, a new report by Nielsen, African-American women are driving total Black spending power toward a record $1.5 trillion by 2021. Insights reveal that we have enjoyed steady growth in population, incomes, and educational attainment. This rise in influence and buying power as consumers is a result of our increased success in business and our careers. But, another stat is much less impressive. The Bureau of Labor Statistics (2016) reported that below 4 percent of women employed in public relations were African American (women overall make up about 70 percent of the industry). With all of our magical abilities to drive product categories and shift culture as trendsetters, brand loyalists and early adopters, there’s no reason more of us shouldn’t be leading in brands and agencies as decision makers. Make no mistake – we are here, and have been here for decades – but the gap in management, representation and compensation for African-American women leaders in the public relations industry must lessen as we’ve further proven our power and influence. African-American women are best at creating and cultivating community. Our magic is made tangible when we establish opportunities for dialogue and work to make industry diversity actionable and accountable. Such efforts like the E3 Task Force, a nationwide agency diversity effort led by Edelman’s DC President Lisa Osborne Ross, empower diverse candidates to elevate their voices and emerge as leaders. With the ColorComm (C2) Conference in Miami as the catalyst for the conversation, the task force went to work forming a quantitative study and hosting listening sessions, with mostly women of color in the communications industry across eight U.S. markets, to assess the barriers and dismantle the roadblocks to leadership. Similarly in advertising and marketing, there are still very few women of color in creative leadership roles. Ad Women For All Women, a program created and hosted by bohan, an independent, full-service advertising and marketing agency, introduces young women in high school and college to the opportunities available in advertising. The AWFAW program focuses on women and women of color specifically, but is part of a commitment to diversity and inclusion in a broad sense as well. Each effort, and so many others, indicates where we want to be and how we are willing to help one other get there. African-American women show a desire to lead and an ability to drive revenue. Our magic is obvious as the Nielsen study reveals that 64 percent of black women agree their goal is to make it to the top of their profession. The study also reports that Black female entrepreneurs have grown by 67 percent within five years, totaling more than 1.5 million businesses with over $42 billion in sales and $7.7 billion in payroll. This kind of ingenuity is worth acknowledging and forces a response by placing more African-American women in PR leadership roles. Yet, in a survey of 51 agencies in North America, the Holmes Report and Ketchum Global Research & Analytics reported that women of color made $10,000 less than white women in public relations. 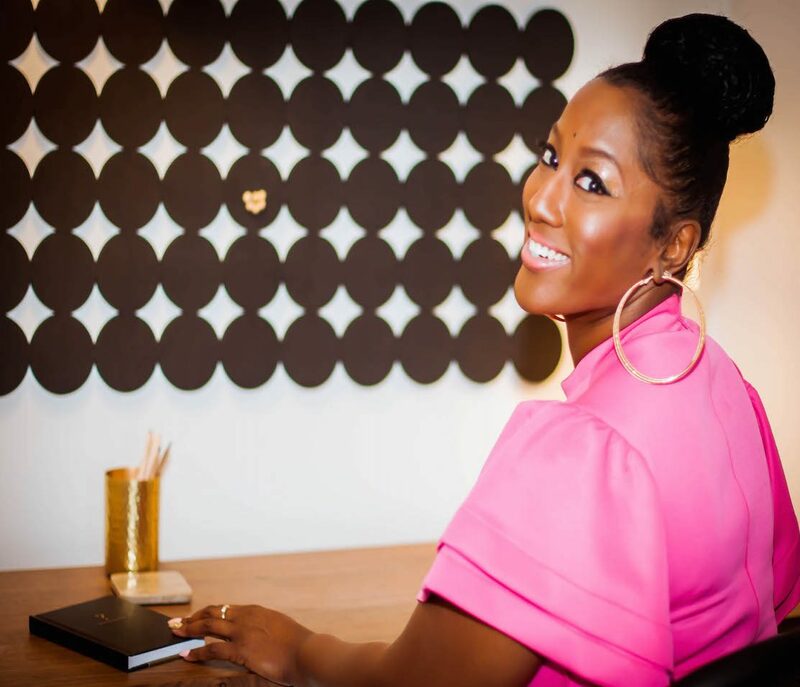 This leads to the progression of African-American women opting out of agency life to create their own businesses or to leave the industry altogether. This is a clear sign of industry leadership passing on the untapped potential of ambitious African-American women, lagging on developing an organizational culture of inclusion and equity, and overlooking the intrinsic value we hold for leveraging business savvy for greater profits. African-American women maintain a unique cultural capital. Our magic is limitless as mainstream culture looks to us for trends and patterns. In most product categories, African-American women over-index against non-Hispanic white women for dollars per buyer and buying power, according to Nielsen. Also, 86 percent admitted to spending 5 or more hours each day on online/mobile platforms for consumer engagement activities and social media movements. As African-American women, our spending, watching, and listening habits are mirrored by other women and shape the way women of all ethnicities see themselves, states the report. While the behaviors, values and purchasing patters of African-American women have been long studied by corporations, our recent influence is proving that the cultural capital we embody has the power to extend beyond contributing a consumer point of view to now reaching leadership with a seat at the table in order to meet industry demands and address PR’s diversity deficit. It’s confirmed. We are magic. We are an undeniable force as women influencers in public relations, as well as marketing, advertising and digital. Our position as creators, decision makers and game changers is indefinite, and will secure our presence as levelers in the future. If the rest of the world is taking notice and recognizing “Black Girl Magic,” the public relations industry should be our greatest advocate. In 1997, Jay-Z, a Brooklyn MC emerging in popularity and ambition, released his second studio album, In My Lifetime, Vol. 1. Still perfecting his sound and his persona, Jay was at his hungriest then yet seemingly stuck between the rap game and the dope game, and the streets and the boardroom. Also in 1997, the African American community emerged as the fastest growing consumer base worldwide with a total purchasing power of $469.4 billion. As our influence climbed so did our access to education and entrepreneurship setting the stage for the youngest in our community – the millennials – to witness this growth and progression firsthand. 20 years later, Jay-Z is known as the legendary rapper holding the number one slot on just about everyone’s top five list. From beats to business – then Beyonce and Blue Ivy – he’s been able transcend all aspects of entertainment, leverage philanthropy for the cause and master entrepreneurship with the best of black excellence. His latest album 4:44 is proof, and most black millennials will agree. With themes like financial freedom, generational wealth, ownership and entrepreneurship all woven into dope, soulful beats, and not to mention, the slick short movies as videos for songs like Moonlight and Story of O.J., and an inside scoop from the Rap Radar podcast on TIDAL, 4:44 is a blueprint for black millennials who are poised to lead. Yet, we still have a reality to face. In the Black community, money circulates zero to one time and one dollar circulates between us for only six hours, according to Nielsen, making us the least wealthy U.S demographic. However, Nielsen also tells us that the overall Black spending power is projected to reach $1.4 trillion by 2020. And with millennials representing 50 percent of the global workplace by 2020 making us huge influencers on how business works, the projected $162 billion that Black Millennials have in buying power along with undisputed cultural influence, means we as leaders must get serious about avoiding “living rich and dying broke” as Jay-Z said. Millennials are only interested in purposeful work. School may teach you how to get jobs but there’s no guarantee school will teach you how to create jobs. Ownership is a priority because for black millennials the future of business depends on our ability to be employers. With all our smarts gained from school or otherwise, we must maintain the vision to be owners – own everything we can from property to businesses. Whether you run a startup in your basement or you jet set to make big deals, ownership is your key to financial freedom and generational wealth. For black millennial leaders to build legacy, we must apply compelling vision to own our own – whether it’s a website selling apparel or a food truck selling cupcakes. Without ownership, we jeopardize our progress. It’s about principle above all. Millennials are magnets for creativity and community. Whether you buy the block in your old neighborhood or cut a check to a local nonprofit, directing your resources to your own community curates and preserves its cultural originality. When you invest in the black community, you generate profits in pursuit of social goals. Use your profit to invest in your purpose in leadership. Remember, your profit is not just your money. You can invest your profits in form of time, advice and raw talents. Not only does investing foster loyalty to your community, it introduces a culture of openness so that solutions can be explored to help solve the problems we want solved and ensure a legacy for future generations for follow. Millennials are vocal about what we want for our lives. We think big. We create lifestyles that support innovation which means we keep an open mind about the way the world works. As black millennials, we have a legitimate role to play in the innovation of leadership. We must lead with incremental steps that make old ideas new again and repurpose the familiar into the unexpected. The cultural shift of innovation forces us to the frontline of leadership. When black millennials embrace innovation and build a culture to support it, we demonstrate intentionality in our leadership. When we deliberately and routinely think big, we show that innovation is a way of life. And when boundaries appear, we use innovation to push them by facing the fast-paced world head-on with no fear. In 4:44, Jay-Z masterfully proves the bond between cultural change and social entrepreneurship. Cultural change exposes problems by disrupting a system. This is a result of generations asking why. Social entrepreneurship solves problems by disrupting a system. This is a result of generations asking, why not? And, asking why not is what millennials do best. Though Jay is a Gen-Xer and one of the most respected voices in pop culture, the so-called legends and power brokers from his generation aren’t the only ones responsible for creating the most exciting things impacting our culture these days. Increasingly, millennials are having the biggest impact on culture thanks to his influence along with others from Gen X. If black millennials leaders intend to lead, and we are showing that we do, all the inspiration we need is in front of us. By 2020, millennials will represent 50% of the global workplace, making us a huge influence on how business works. Organizational leaders are becoming increasingly concerned that they soon will be unable to find the talent they need to succeed, with a shortage of suitably skilled workers as the single biggest worry. Businesses are competing fiercely for the best available talent to replace the retiring boomers in the upcoming years. Every year, more and more of that talent will be recruited from the ranks of millennials (PwC, 2011). That means building leaders from the millennial generation can no longer be a delayed strategy for decision-makers in the workplace. Reason 4: Without millennials, organizations will start to wane. A report by PriceWaterhouse Coopers provides some insight into the minds of millennials. In 2011, the corporation carried out an online survey of 4,364 millennials across 75 countries under the age of 31 or under and had graduated college between 2008 and 2011. Seventy-five percent were currently employed or about to start a new job while 8% were unemployed at the time they responded to the questionnaire. The rest were self-employed or returning full-time to continue their education. According to the survey, 76% of respondents with a job said it was a graduate role, while 12% had a job that did not require a degree. The survey said that 54% expected to work for between two and five employers over their entire career. This isn’t attributed to low attention spans and bouts of boredom millennials are believed to possess. This is a direct result of organizations determining that millennials aren’t high-level contributors because we’re not “one-size fits all.” We spend an average 1.5 years to 3 years working at a company. But working for two and five employers over a 40 to 50-year career suggests much greater longevity with an employer than that the perceived length of millennials’ employment, the survey said. Millennials are vocal about what we want for our lives. Our careers are top priority. In fact, our generation sees a bigger picture for our work, leveraged by technology, freedom and creativity. This means we have the ability to add meaningful value to our work from anywhere at anytime, and we must be allowed to exercise that value in ways that others respect it. Ask your employer for the resources to pursue education in your chosen field and opportunities to keep learning through training, workshops or tuition reimbursement. Also, be prepared to invest in your own training outside of the office to make your skills as marketable and transferable as possible. Ask for time with your manager for an explanation for how your specific contributions add to the company’s bottom line and how the team benefits from the efficiencies you can create. Ask management for leadership and personality assessments to better understand your traits as an intrapreneurial leader. Seek a professional coach and internal mentors who can advise you along the way. We are comfortable with transparency and want management to practice it as they are grooming us. We get the basic ingredients for success, but can gain valuable guidance as the benefit of some unconventional advice. Be prepared to make improvements along the way based on the feedback you receive. And, don’t be offended, even if you don’t agree with what comes out of the evaluation. Use it to your advantage. When we ask management to help us, we should reciprocate a tone of clarity and openness, with a respect for inclusion and diversity. Ask if you can mentor fellow millennials in the workplace who may need to be coached on the company’s culture. Offer to be a reverse mentor to baby boomers or Gen X-ers as an effort to build relationships with senior colleagues that could raise the bar on employee engagement and productivity. If you seek leadership in the workplace, ask for an honest assessment of your communication weaknesses and make sure you are working to inspire confidence, showing interest in the professional development of your coworkers and communicating with clarity and transparency. When we define and prove our value as leaders, we create leverage to ask for more of what we want and the work we want to do. Many headlines seem to focus on the idea that millennials are not poised to lead. We are incompetent, shiftless and noncommittal. We show up late. We act entitled. We demand more than we earn. It’s been six months since I released my book, The Original Millennial: Lessons in Leadership for the Millennial Generation. The reception has been fantastic, though not without questions. While millennials have a series of subgroups divided by the factors of age and socioeconomic background, originality is not a concept that refers to demographics as descriptors for millennials. It’s true that the entrepreneurial members of the older-millennial subset are altogether reinventing the planet and the younger subset is revitalizing organizations with an intrapraneurial excitement that is reinventing the workforce. We understand why there is a great deal of variation from one individual millennial to another, more than within any other generational cohort, when we understand who our parents are. The differences between baby boomer and Gen X-er parents are the most critical reason millennials are so diversely defined yet grossly misunderstood. A 33-year old millennial remembers using dial-up internet access to log on to the first version of Facebook, while a 23-year old millennial has likely never used Facebook without a high speed mobile or Wi-Fi connection. Those are major moments in the social development of millennials that are not to be ignored. However, the term “original” in this book will not be used to separate millennials by younger and older subsets. The millennial generation continues to have a major influence on almost every aspect of our lives, including how we communicate and use technology. Millennials have affected changes in parenting practices, educational and career choices and sparked shifts in homeownership and family life. These developments have inspired much speculation about how this generation will fare later in life, and whether these trends are temporary or permanent (TCEA, 2014). The driving force behind the potential greatness within the millennial generation is originality. We got here with so much originality that we were ready to take on a world that wasn’t making room for us. We get distracted because we switch devices 27 times an hour. It may look like we don’t know where we’re going with our eyes glued to the screen and our fingers scrolling down the side. But we keep original ideas flowin g from the sources found in the platforms we surf. We thrive on original experiences and relationships. We are cautious and loyal. We often think the media are biased and can quickly perceive fakeness in human interaction. We must have original conversations that happen in a meaningful, sincere way. We back brands. It gives us a sense of ownership and makes us feel like we contribute to the growth and prominence of those businesses. We may look up to Mark Zuckerberg, Jay-Z and Steve Jobs for their originality, but our favorite mentors and models for inspiration are our fellow millennials. Why is this? Because originality can sometimes be at odds with the source. The best parts of original millennials are found in the choice to change and evolve. The original qualities of past generations use commonly understood behavior patterns, which make them far easier to define, whereas original millennials have the ability to defy category. For the millennial generation, originality is the most important trait because it positions how we think, feel, work and lead. The power of originality becomes most valuable when used in the pursuit of solutions. Millennials always look for ways to make things greater, bigger, better, stronger and more practical. Across society, there’s enough division between cultural groups including generations – so much so that our thoughts take us instantly to a detection of bias, which is great in order for us acknowledge if and how bias exists. Calling a millennial “original” not about pointing out our intergenerational differences. It’s about uplifting a generation by harnessing the original qualities we possess. The distinction of original is applied to the approach millennials bring to life; how we marry vision and values; how we merge creativity with cause and how we make real challenges look remarkably cool. Originality is the prime possession that makes the difference. Cranes in the sky. That’s all we saw when posing for this photo from high up on the rooftop of The Westin Hotel. Reflecting on the growth and expansion of the city, we gathered as a handful of this year’s Nashville Business Journal 40 Under 40 winners selected to appear on the cover of the paper. It was an honor to be one of the young leaders in the city chosen from nearly 600 nominations – a record number. Take a look at this year’s winners. At the top of the year, I started coaching millennials in the area of leadership development to kick off National Mentoring Month and…wow, what an experience! I knew our generation was made of amazingly passionate innovators but the work I have been able to do with my millennials has been an absolute joy. Because millennials will make up 75% of the workforce in America by 2025, a cultural shift is happening and I am working to encourage, prepare and coach our millennials for leadership. It is important that organizations are prepared for the shift that is quickly approaching, and I am here to help. With expertise in leadership communication and influence as a college professor, I am equipped with the knowledge and know-how to effectively train and ready your millennial team members. Based on curriculum from my book, The Original Millennial, I am helping millennials recognize their value and prepare them for unprecedented leadership. If you’re a millennial, here’s a chance to get exclusive access to me as your champion! I learned the lessons, put them in a book and created a six-week curriculum to help you succeed. With my guidance and support, you become a change agent prepared to lead in business and community, and leave a legendary mark on the world. If you believe you need someone like me to groom, coach and mentor, sign up here. If you are not a millennial…does your organization currently have professional development initiatives in place for your employees ages 20-35? Do you see a need to invest additional resources to develop your young emerging talent? I’d love an opportunity to work with your organization as a leadership development consultant to assess your generational diversity needs and counsel your millennial team members on best practices for fine-tuning the skills needed to take their professional careers, and your organization, to the next level. If you want more info, learn more here. In a few weeks, I’ll be in Austin, Texas. I’ve been selected to speak at the 2017 SXSWedu Conference & Festival, March 6-9. I’ll offer a mentor session on diversity, millennials and PR; and on Wednesday at 12:30 p.m., I’ll be signing copies of my book, The Original Millennial, too! The SXSWedu® Conference & Festival fosters and celebrates innovations in learning by hosting a diverse and energetic community of stakeholders across a variety of backgrounds in education. The annual four-day event affords registrants open access to engaging sessions, immersive workshops, interactive learning experiences, film screenings, early-stage startups, business opportunities and networking. Through collaboration, creativity and social action, SXSWedu empowers its global community to Connect. Discover. Impact. SXSWedu is a component of the South by Southwest® family of conferences and festivals. If you will be at #SXSW or #SXSWedu, add my session to your event schedule. For more information, please visit http://sxswedu.com. In 2007, during the beginning of the Great Recession, I was a self-employed millennial running my own PR firm full-time. I unexpectedly lost three of my largest accounts. I had a sense that I needed to be going after more clients, increasing my revenue and saving up more money, but I was a young entrepreneur with a lot to learn about running a company. After all, I started the business fresh out of college because the job market was so bleak and I couldn’t land a position in my field or anything stable enough to carry me financially. The business had allowed me to cover all my bills and stash away a good deal of cash, but, when the recession hit, I became afraid. When I began the business three years earlier without any money, I didn’t even have enough to open a bank account. Now, here I was again with no more money and no one to ask for help. Why didn’t I just go get a job? Well, it’s not that simple. Millennials came into the workforce hoping to lock down a secure career and bank on a big payday only to be disappointed that neither of those things were readily available. We watched our parents work for years at the same company and believe they had a nest egg for retirement that somehow disappeared. We make less money than previous generations and have smaller incomes and bigger debts because we’re often underemployed and underpaid. So, we’ve figured out how to use technology to do more and spend less. We love discounts, deals and freebies. We’ve put off commitments like marriage and home ownership not because they don’t hold value to us but because we want to be stable enough to fully enjoy those experiences without major financial woes. We like money and appreciate the finer things, but live for a bargain. We did not want to follow in our parents’ footsteps so we started scrambling up extra money in addition to our full time jobs as side hustles (Pew Research). This year, we’ll approach the 10-year anniversary of the Great Recession. It took a while but I’m doing pretty well now financially. However, I am concerned about my generation. As the oldest millennials turn 37 this year – an age where most Americans are supposed to be at their peak spending age – millennials are still feeling the aftermath of the Recession (Morgan Stanley). We are the largest generation of the U.S. workforce and, as we age, many factors will bear down on our financial future: Social Security is underfunded, our life expectancy is on the rise and college debt won’t disappear. Many millennials, especially those who are entrepreneurial, don’t always learn things we should about money or by the time we do we’ve already been cast out into the world burdened by money mistakes and financial mess-ups. We are a considerably underfinanced generation, which is why we have no choice but to start saving as much as possible, living on significantly less and seeking financial advice. Where is our money? How can millennials drive growth to the U.S. economy? What will predictions say about our financial contributions? How can we develop a sustainable plan for future generations? We have to remain frugal. Millennials should have a vision for where we might want to be financially. We must plan for our finances to keep us comfortable and learn to live below our means. Develop a budget and set money goals accordingly – translation: buy a few less lattes. We have to ask for help. As resourceful as we are and as much as we value relationships, we shouldn’t have a problem getting money advice and financial guidance to manage the things we value most. The earlier we enlist help, the better off we’ll be. Contrary to what is said or perceived, millennials are not lazy, entitled slackers. We have the same needs and wants as older generations — financial security, family stability and retirement savings. As we plan for the future, we must consider the kind of commitments, goals and investments we will set with our money. We know how to use our profit—what we gain out of life—to supply our purpose in the world because we inherently understand that profit is not just about money. Profit includes your time, life takeaways, raw talents and trusted tangibles. And, millennials are going to need all of those to build a sturdy foundation for the future of our money. This article is an excerpt from my book, The Original Millennial and appeared in The Tennessean for 12th and Broad as part of the Millennial Money Experiment powered by Regions Bank.